PEM are the originators of self clinch technology and recognised by OEMs the world over as an innovative manufacturer of the highest quality. Download the FREE PEMSpec™ App today for all the critical information on PEM® Fasteners at your fingertips. 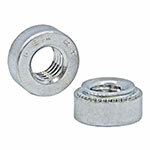 Uses same mounting hole and installation tooling as standard S™ nuts. Low profile and small diameter design. 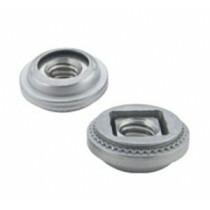 Installs closer to sheet edge than standard clinch nuts. Installs in stainless steel sheets as thin as 0.64mm. 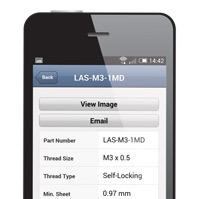 Thread sizes from 2-56 through 6-32 UNC and M2.5 through M3.5. Thread design accommodates paints and coatings without compromising performance. The PEM® VariMount™ fastening system is an assembly comprised of a standard PEM nuts, studs or standoffs mounted permanently into a base plate. The assembly can then be fastened or bonded to assorted panel types in a variety of ways. 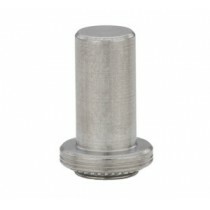 Base plate provides generous footprint for surface or mold-in mounting. Radial holes in base plates encapsulate adhesives or molded plastics. 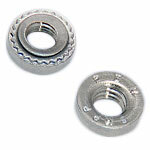 Radial holes accept standard sized rivet diameters. 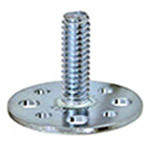 Radial holes accept standard sized self-clinching fasteners. Assemblies can be mounted on front or through back of panels. 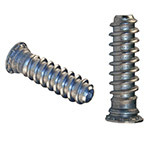 All metal captive screw assembly installs in one piece utilizing pick and place method. 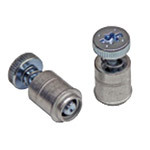 Screw length code "0" retracts flush in up position. Ability to pick and place by nominal nozzle. 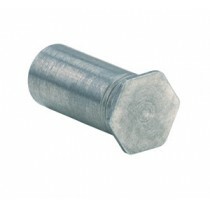 Installs into thin, harder, high strength steel materials. Allows overall weight reduction for all vehicles. Addresses environmental / recycle concerns.